Made from the purest essence minerals from the best know source of Minerals in the World the Dead Sea Salts. 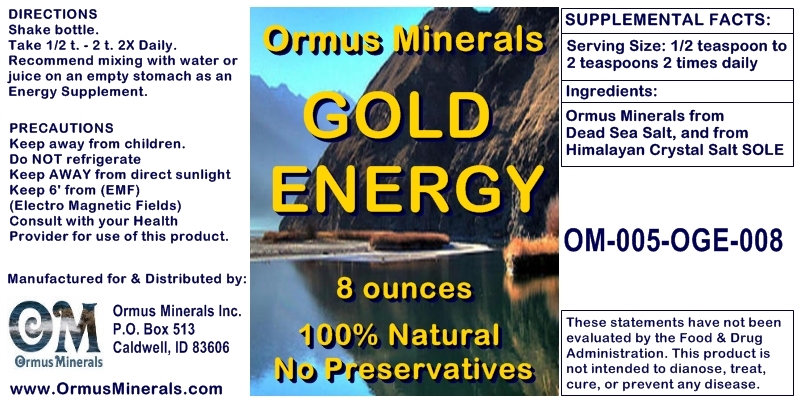 Ormus Minerals Gold is extracted from the Dead Sea Salt from Israel. Combined with Sole gives you the 84 minerals from the Himalayan Crystal Salt for a synergistic natural nutritional energy. The Essene say that the Manna made from Dead Sea Salt is 70% M-State Gold.